What can a home builder or remodeler do, right now, to increase sales 10 – 30%? Hello New Home Sales Coach blog reader/subscriber! One thing I absolutely HATE is attending webinars that say their going to teach you something and then turn into nothing but a 1 hour sales session. That’s why whenever I host webinars I fill them full of relevant content you can use right away. My thought is if you like what you hear and see and want more- you’ll check out my products and services. My webinars are the real deal and you can also bring and ask questions! Below is a press release that’s going out to hundreds of news organizations early this week. I’m capping the webinar attendance at 100. Make sure you register and get online a few minutes before it starts so you don’t get locked out. You can register here https://www2.gotomeeting.com/register/803628387. When a home builder or remodeler asks Rick Storlie of New Home Sales Coach how to sell their services today, they get a dramatically different answer than just 12 months ago. Over the last 5 years Storlie has meticulously coordinated a sales process for home builders and design build remodelers. The sales process is designed for what Storlie calls, “outlet mall” home buyers. So what does all this have to do with blogging? 1. Build trust– Potential buyers can see what the builder actually does, not just what they say they do. 2. 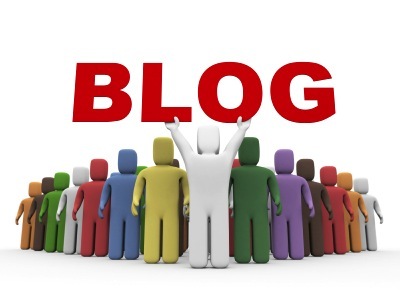 Create value– A blog allows builders to differentiate their homes and services from their competitors. 3. Allows prospects to get to know a builder– Because a blog is informal, a builder can have a conversation where a prospect can get to know and like them. 4. Expand the reach of a builder’s internet marketing program– A blog adds new content to a builder’s website, integrates with their social media program and the posts can be distributed into cyberspace to help increase traffic to a builder’s website. 5. Doubles as sales follow-up– Regular blog posts create reasons to follow up with people and reasons for them to stay in touch. Today, technology advancements and changes in consumer shopping patterns necessitate the integration of online marketing with a builder’s onsite sales process. Storlie suggests a static website, phone and even email aren’t enough anymore. He says new home and remodeling prospects are demanding more. And if a home builder understands how to leverage a blog it can do more for their bottom line than any other single form of advertising out there. “If builders knew how to get started blogging and how easy it is, they could easily increase sales by 10 – 30%”, claims Storlie. To help home builders and remodelers do just that, Storlie will be interviewing Jennifer Brown from Tribal Blogs on March 24th at 1:00 CST. Brown will be offering 7 blogging strategies builders can use to immediately jump start their sales. There is no cost to attend the webinar. About Rick Storlie: Rick Storlie of New Home Sales Coach has been helping home builders and remodelers reach their sales goals since 1992. Visit NHSalesCoach.com to download Rick’s free e-book “6 Secrets to Maximizing Your Sales in any Market Revealed.” Storlie can be reached at 952-895-5566 or Solutions@NHSalesCoach.com.